Epoxy coated floors are highly resistant to just about everything: gasoline, oil, transmission fluid, bleach, chemicals used for cleaning, just to mention a few. This is one of the factors that makes them a very popular choice in the auto industry, and particularly in garages. Moreover, according to Christine Masta of BASF, a supplier of flooring systems that are specialized for a wide range of application needs in Africa; due to the fact that they are resin based and seamless in nature, they offer excellent chemical and abrasion resistance with very high levels of hygiene. In food and beverage industries for example, they protect the concrete against bacterial growth and as such they are highly recommended in areas where the levels of hygiene required are very high. Mr. Paul Osselmann of Koster Bauchemie AG in Germany also mentions that, alone, epoxy flooring systems’ extreme mechanical and chemical resistance make them the flooring of choice in many industrial fields of application. Whether in Parking Lots or Warehouses that have steel wheeled forklift traffic or floors or in manufacturing areas where acids and alkaline spills are common, there are special formulations and systems specifically engineered to deal with these problems. Epoxy floors are not just a solution reserved for warehouses and dull industrial zones. Epoxy flooring can also be used to provide an attractive aesthetic for decorative floors. Not only is epoxy available in a wide array of colors, but it also adds a flawlessly smooth, elegant quality and shine to the existing floor. Epoxy can also be combined with paints and colors to help mask chips and cracks in the existing floor. The floors can also be arranged into patterns and designs, allowing you to make a number of choices in an economical way to improve the ambiance of a workplace or home. Patterns can also be used to create unique driveways and other walkable areas. 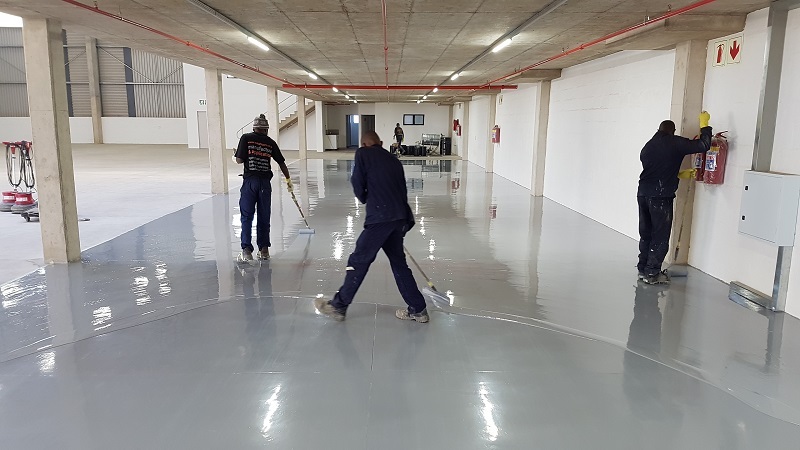 Additionally, according to Dean Van Der Mescht of Stoncor the South African operating company for RPM Performance Coatings, epoxy flooring can also be used in all markets. The price of epoxy per square foot is difficult to beat when compared to other flooring options. 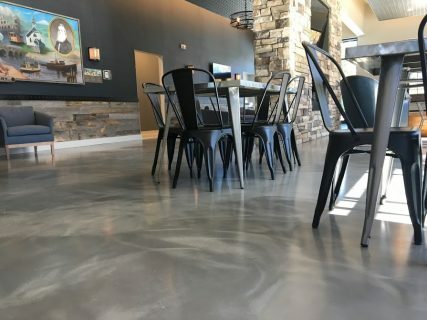 Since epoxy can be installed directly over other flooring types such as concrete, the installation costs tend to be lower than its alternatives. Of all the advantages of epoxy flooring, its price point is one of the immediate and significant. Moreover since epoxy floors are durable and last for a long time, additional costs are saved on replacement and maintenance. If you are looking to coat large areas at an affordable price while still maintaining great quality and little to no maintenance, epoxy is the best way to go. Epoxy coating tends to last much longer than other types of flooring. According to Maura K. Doyle of Dur-A-Flex in the US, their seamless nature means they are impervious, so moisture is not able to get underneath the coating to cause flooring to pop-up. They are also very simple to maintain, requiring no stripping and waxing; they only require scrubbing with a deck brush. Additionally, according to Akis Apostolopoulos of Ktisis a manufacturer of specialty construction chemicals from Greece, epoxy flooring is a great durable solution to protect the concrete from water, damage and chemical attacks without the need for maintenance or repair for a very long while. Besides, apart from them being able to bond directly with concrete and offer some chemical and abrasion resistance; Mr. Ercan Tokdemir the General Manager at Tac boya in Turkey mentions that, as a formulator, the most important advantage of epoxies is easy formulating. By this specialty you may give lots of functionality to flooring like antistaticness, antiskidness, hygene, anticorrosion besides decorativeness. Epoxy coating protects the underlying floor from all kinds of damaging effects such as cracks, stains, grease, moisture, and heat. Epoxy coating is great for eliminating the costs that creep up for floor maintenance by protecting the floor from becoming damaged or compromised in the first place. There will be no need for carpeting, grouting, or other maintenance. Epoxy flooring is a great solution for floors that need to last a long time without requiring additional work or attention, not to mention it provides excellent protection for the floor beneath the coating. 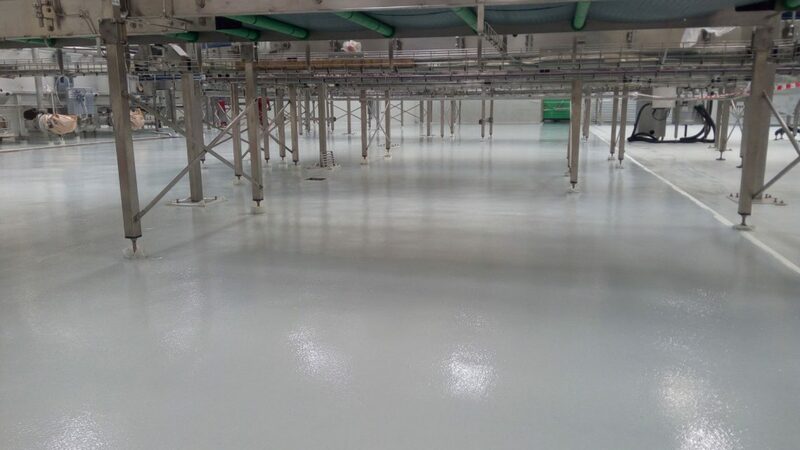 When it comes to application, Mr. Paul Clark of Vuka Floors a specialist in the manufacture, supply and application of epoxy and polyurethane resin flooring paint, coatings, screeds and linings in Africa mentions that, the sub base is extremely important so that the epoxy will be able to bond properly. “The thickness of the selected system directly impacts on the lifespan of the floor because epoxy floors are wearing floors. Operating temperatures are important as high temperatures require specialized systems. Also important is whether any harsh chemicals will come in contact with the floor as some systems are better suited to different chemicals,” he adds. 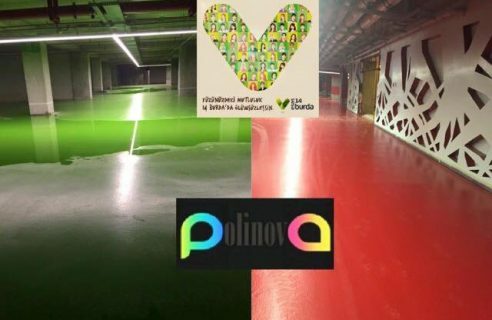 According to Duygu Vodina a Managing Patner at Polinova one of the leading companies in Europe in epoxy applications from Turkey, the African market is a rising area for construction chemicals and like all foreign markets it has some characteristics and difficulties. “For the flooring sector, implementation is a very important part of the coating system. For this reason, our duty does not end when we sell out the products. We should also follow our distributors and keep them educated always,” he affirms. Nevertheless, Mr. Jeremie Maillard of Belzona a manufacturer of Industrial protective coatings and engineering composites from the UK recapitulates that, by offering a solution to a problem through understating the client’s requirements, you meet the client’s expectations regardless of where in the world the client comes from. Identifying the right products at the right prices due to lack of knowledge is a major challenge in the African market. 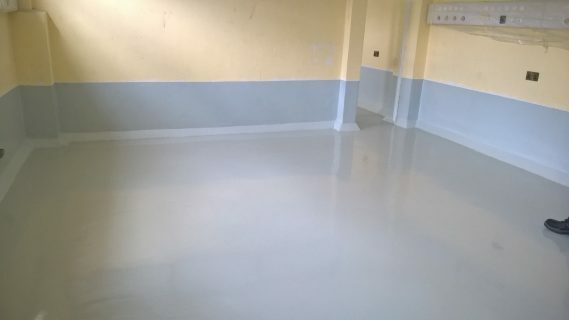 This is according to Steve Macharia, of Floorfix(K) Ltd, who further adds that lack of certified installers, high cost of equipment and tools hinders the growth of epoxy flooring industry. What a difference in the space once the epoxy flooring has been applied. The entire tone of the room(s) are changed. Perhaps in the next few years it will be more cost efficient. Thank you for sharing. I like that you explain how epoxy can be installed directly over other flooring types, which makes it tend to be cheaper. If someone is considering this, it might be a good idea to consider what material it’s going over to figure out what would be best. After figuring out what to choose, it might help to go online to find an epoxy supplier that can provide you with quality material in the amount you need to be able to create the type of flooring you want within your budget.